The Young Bucs is a vocal group that originally formed as a 50’s- 60’s doo-wop group, but the group began to add bluegrass selections to the repertoire when local musician, Fred Corbett joined the group as the temporary tenor. Later, Bob and Jerene Shaffar were invited to join the group to fill out the bluegrass sound with their stand-up bass, dobro and fiddle. 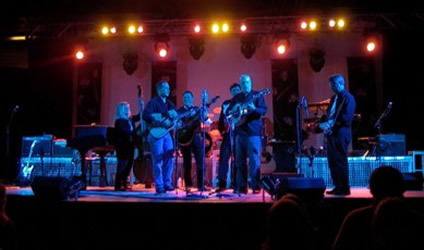 In recent years the Bluegrass Bucs only get together occasionally to play for special events and fundraisers.